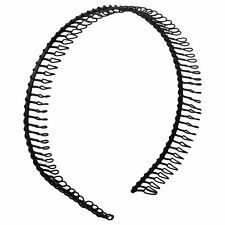 Contain 6 Black 10mm wide endless snag free long elastic headband. 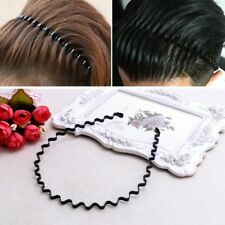 Material : Stretchy Elastic Thin Elastic Football Hair Headbands. Stretchy elastic. Suitable for all hair types.Perfect for any sports, gym, exercise or just keep your hair away from your face. Approx Size: 1cm Width / 38cm (unstretched) - 68cm Fully Stretched. One Size Fits All (most) / Sale is for 3 (three) Headbands. Approx Size: 7cm Width / 38cm (unstretched) - 58cm Fully Stretched. Note: NOT to be confused with SWEATBANDS . The bands are assorted with the widths between 0.5 cm to 1 cm. 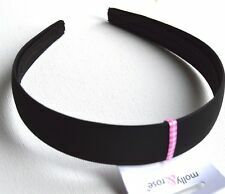 Long Elastics headbands. Fashion Elasticated Headband - printed letters -. Material: Polyester Spandex. Colours may vary slightly due to lighting and flash photography. Colour: Black White. 25cm x 3.9cm (approx.). 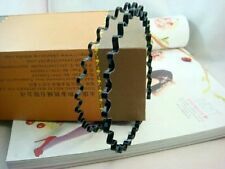 Size: 52 cm: 3 cm 2.6 cm pendant chain length;. X Pendant Necklace. Deunydd: Crystal, Alloy. Colour: black. 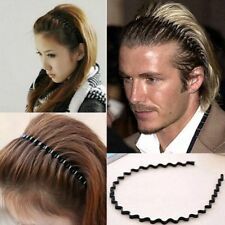 As worn by many footballers, these hairbands are great to keep the hair from your face when playing sport.